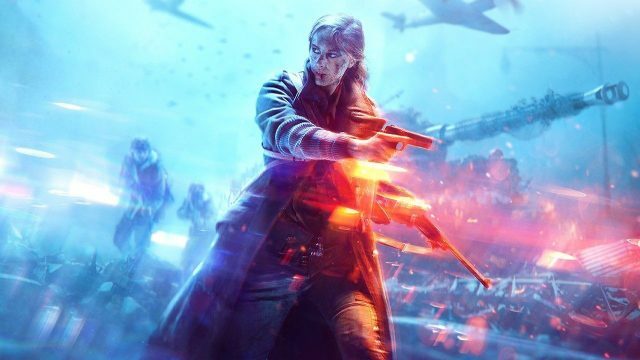 Battlefield 5 is an Nvidia GeForce-sponsored title, but early data suggests that hasn’t hampered Team Red’s performance in head-to-head match-ups. Early data suggests a substantial advantage for AMD, though we’d strongly caution against reading more into it than an interesting look at how performance stacks up in an early iteration of the latest franchise title. Image and data by PCGamesN. In some ways, these figures look like a bit of a throwback to the earlier days of DX12, with Nvidia’s overall performance dipping in that mode. AMD’s figures shift a bit depending on whether you check 1080p or 1440p, but at the latter resolution Team Red also takes a small perf hit to average frame rate and a heavier whack to minimum FPS. It remains, however, firmly out in front in all segments over the GTX 1060. Several years ago, the GameWorks controversy gave us occasion to sit down and talk to several game developers about the differences between AMD and Nvidia GPU architectures and how those tend to play out in gaming. While both AMD and Nvidia have released new GPU architectures since those interviews, our understanding is that the broad picture hasn’t really changed: Nvidia tends to provide a more robust level of developer services, but its GPU optimization strategy also historically focused more on optimizations performed in-driver. AMD has stepped up its game on the optimization side in recent years with programs like GPU Open, but our understanding is that there’s still a difference in approach here — and, of course, AMD is a company that’s only recently returned to full-year operating profit, while Nvidia had no such difficulties to contend with. It’ll be interesting to see how the BF5 performance situation evolves over time. Overall, we’d expect the gap between the GTX 1060 and RX 580 to shrink, and the GTX 1060 is performing well below where we’d expect it to sit at the moment. Typically, the two GPUs are fairly evenly matched, which makes this one-sided blowout much more likely to be an artifact of low optimization levels rather than a sign that Dice plans to take Nvidia’s money and throw a sneaky pass in AMD’s direction. Dice has also historically been good about maintaining a consistently high level of performance for both AMD and Nvidia, regardless of which company it partners with for any given title.